Briefly, avangate.com is one of the most popular affiliate networks on the internet. This site, offers software companies the opportunity to sell their software, software users the opportunity to buy quality products through a secure means of payments, and online marketers the opportunity to make money through the Avangate Affiliate Program There is no referral commission on the avangate affiliate program . Those participating must sell a product in order to make money. All you have to do is get a product(s) and sell. So, I mentioned something very interesting about this affiliate network in the first paragraph. What can this be? Ok, let us get started. 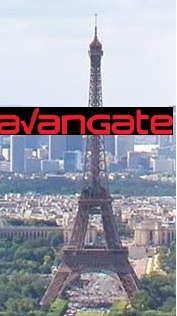 Some few months back, Avangate launched a contest called ‘’Heroes of Digital Marketing’’ in which affiliates can win a trip to Paris. It is not just about a trip to Paris as you might have seen on some ads. Let us get a break down of this contest. In order to participate in the Heroes of Digital marketing contest, you must be an affiliate on Avangate. Creating an account on avangate is free of charge. 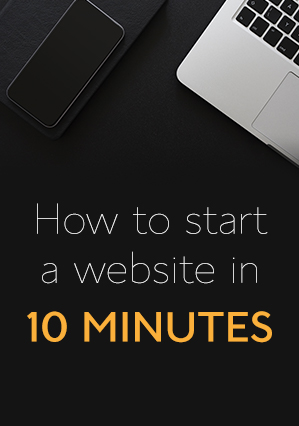 All you need is an email id, and a website on which you want to promote digital products. With a verified affiliate account, you can get now participate in this contest. With the 4 requirements above set, you need to feel a small form and BINGO!! You are ready to become a hero. All you have to do now is get the best products and start selling. The contest will run from November 2nd 2015 to April 30th 2016. They will be two sets of winner. Those who will get cash and those who will make go to Paris. In order to benefit from this program you have to make a sell a product. a) The affiliate who has made the highest sales from November 2015 to January 31, 2016 will be given a cash prize of 1500 USD. Note that for you to win this prize there should be an increase in sales by 20 percent and above compared to the previous months. b) 1000 USD will be given to the affiliate with the highest increment during this period compared to the previous months. You can know this by comparing your sales during the period 5th of August to October 31st. c) The newbies are remembered. If you are able to make your first sale on avangate within this contest period, you will be awarded 500 USD. We are not done yet. What about the trip to Paris? The avangate term that describes winners are: Super affiliate ,Spider and X-affiliate corresponding to those who have made the highest sales, highest increment and those who have are able to sell their first product respectively. Those who are able to meet the conditions (a, b, c above) will be able to win a trip to Paris with a 1 day ticket to Disney Land. This is what I can share with you regarding this contest. It is something worth trying if you love selling product online especially digital products. There is no need to doubt. Registration is free. Note that Avanagate is ranked number one affiliate network for digital downloads . The contest simply gives you a chance to make more money and have fun if you are serious about your affiliate business. About 6 affiliates will benefit from this contest. Three affiliates will be selected from November to January sales and another three from November to April sales. This is it with the Heroes of Digital marketing. Get into affiliate marketing, Make money, make more money, win a trip to Paris and the world will see you as a Hero. That is how Avangate is doing it? Which affiliate Network can challenge Avangate? Thank you Eva. Hope to see you here some other time.